The Black Lives Matter Movement and its broad supporting network of groups and organizations has become the signal center of the modern movement for civil rights, justice and equality. UUCP supports and affirms its goals and participates in advocating for police and criminal justice reform, an end to mass incarceration, the dismantling of institutional racism in all its forms, and an end to the interconnected systems of discrimination and oppression impacting people based on class, color, language, immigrant status, economic status, gender identity and sexual orientation. “Black Lives Matter” is the response to the reality of our society, true today as it has been throughout our history, that in a very special and unique way, Black lives do not seem to matter. This is the message that is unmistakably sent by the results of the ways in which our criminal justice and other systems of laws and procedures continue to operate. “Black Lives Matter” is the recognition and protest of this reality. “Black Lives Matter” has become the slogan and identification of a movement that is the true inheritor of the civil rights and voting rights movement of the 1960s. It has its own generation of “sit in” activists, civil disobeyers and “Freedom Riders”. It is grassroots, broadly interracial, multigenerational, LGBT welcoming. Its developing agenda encompasses not only issues of police brutality but also criminal justice reform, mass incarceration, voting rights, economic justice, immigration, reproductive justice, health reform and gun control. These are issues that affect the lives of ALL in our society. These are issues that we have covenanted to affirm and promote as part of our Unitarian Universalist principles. …The goal of world community with peace, liberty, and justice for all. 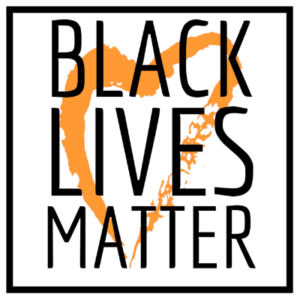 By working to make Black Lives Matter we are working to make All Lives Matter.